There are many breast cancer charities that provide help and assistance to those fighting the disease and to the family members and friends who are standing by them. When you are diagnosed with breast cancer it can be scary. Many do not know what to expect or where to turn to for help and support in this situation. There are many charities out there that cater to those with breast cancer and can provide support to caregivers as well. The pink ribbon has been used as a recognizable symbol for those battling breast cancer and surviving. Many breast cancer organizations use the pink ribbon as their logo and to show support of the cause. Wear a pink ribbon to show your support of finding a cure for breast cancer. Visit the Susan G Komen for the Cure website and you can find information on getting involved with the race. You will also be abe to learn more about breast cancer such as risk factors, early detection and screening, treatment options and various other resources. The site also has a store to shop for merchandise that supports those with breast cancer. Susan G. Komen has research programs, awards grants and gives scholarships to those who have lost a parent to breast cancer. 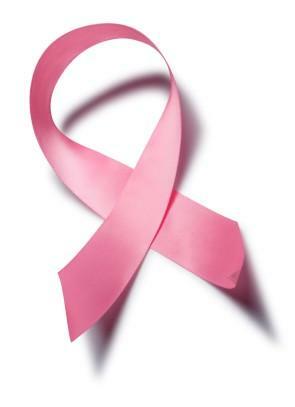 The Breast Cancer Charities of America (BCCA) works towards eliminating breast cancer. This entity unites various organizations that are all working for the same outcome. BCCA provides research, education and advocacy as well as support to those fighting breast cancer. They also have an interest in researching the link between nutrition and breast cancer. One organization that they work closely with is Cars 4 Causes. They allow you to donate your car to the charity and in return use the money raised for breast cancer awareness. Another area of interest is education. They educate on cancer prevention, early detection as well as treatment. They also focus on survival and maintaining a high quality of life. The BCCA is able to assist those with breast cancer find transportation, manage bills and find proper shelter and clothing while battling the disease. The mission of the Breast Cancer Research Foundation is to help prevent and ultimately cure breast cancer. They provide funding for research, both clinical and translational, at medical centers around the world. In addition they promote the importance of breast health and work with promoting public awareness. If you want to honor or memorialize someone who has been affected by breast cancer, why not support one of the charities that are committed to helping those who have breast cancer?